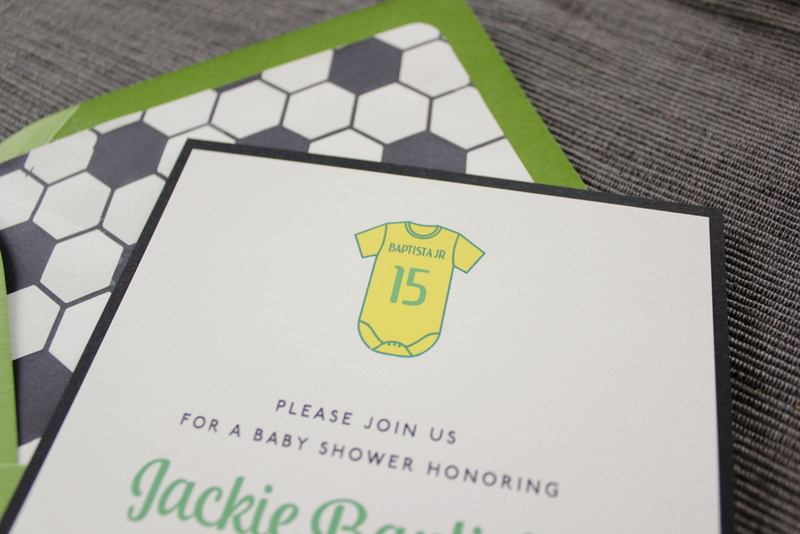 When my friend Melanie approached me to design a baby shower invitation for our mutual friend, Kristin, she started by saying she wanted something "chic, modern and sophisticated". The shower was going to be a high tea in LA and it needed to fit Kristin's California style. She was expecting a girl, but didn't want to go too "pink crazy"--she mentioned liking yellow and aqua in addition to purples, pinks and maybe grey. The girls loved the design (even though I spelled her name wrong!). BUT, the plans had changed since Melanie had first contacted me, and it was no longer going to be a tea party! Since they loved the colors so much, I kept the color scheme and went with a few other design element ideas, keeping just enough purple! Turns out my original fonts were spot on, because they loved the third design with the mobile the best! I think that was my favorite too, and I was able to pull the shapes from the mobile and use them on an insert card and the envelope liner. I love how this came out! I love that this design could easily be used for a gender neutral shower, or we could even switch out the colors to welcome a baby boy. Versatile designs like this are perfect for the Etsy shop! Kristin had a lovely shower, and just last week gave birth to a beautiful baby girl. Mama and baby are doing great. Congratulations Kristin!! !